Lincoln is an American luxury brand that borders on legendary, and Byrd's Auto Service in Raleigh, NC will keep yours in top shape. Named after former American President Abraham Lincoln, the Lincoln brand was bought by Ford Motor Company during the depression, where it went on to create iconic cars such as the Lincoln Continental. Lincoln is still a brand proud to bring luxury to the public, continuing to design stylish luxury cars and SUVS without compromising on amenities and technologies. To keep on regular maintenance, or to take care of any issues that could arise with your Lincoln vehicle, you can stop by Byrd's Auto Service, located at Raleigh, NC 27610. At our service center, our staff is highly trained and uses the latest technologies to perform maintenance and repairs on Lincoln vehicles. 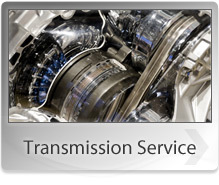 Whether your problem is related to your suspension, engine, transmission or other area our staff is ready to diagnose and repair it. 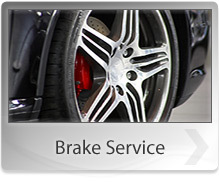 We're also happy to perform regular maintenance on your Lincoln. The process is easy and our service center employees will keep you informed along the way. We here at Byrd's Auto Service offer competitive maintenance and repair prices to work on Lincoln luxury vehicles. We also pride ourselves on fixing your vehicle the first time so you can be back on the road without too much inconvenience - having to have one's car in the shop can often be a headache. Our friendly staff does everything possible to meet your needs and answer all your questions. To schedule an appointment, call us today at 919-779-2689.